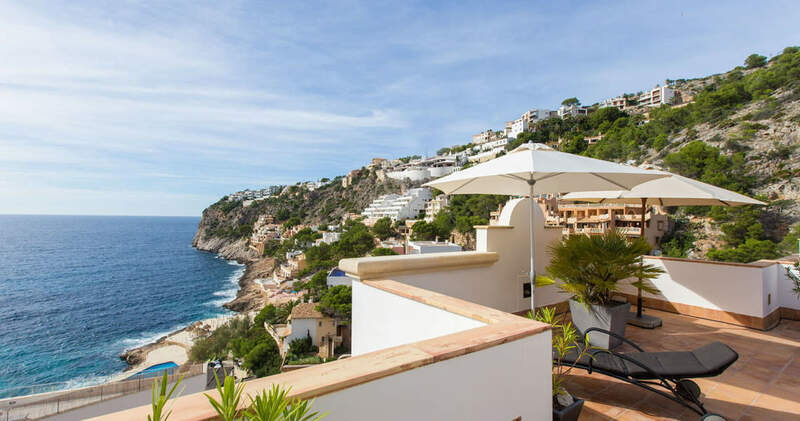 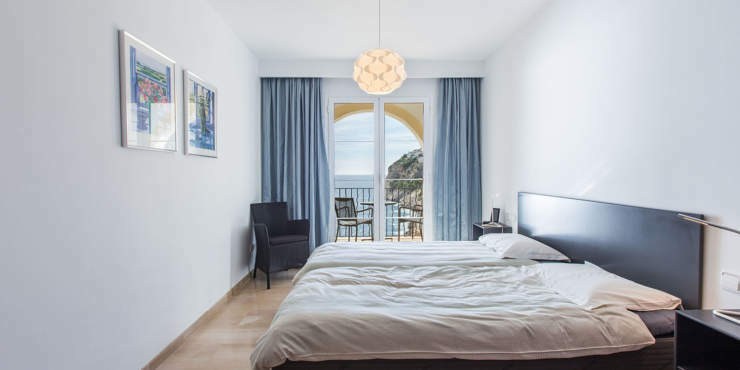 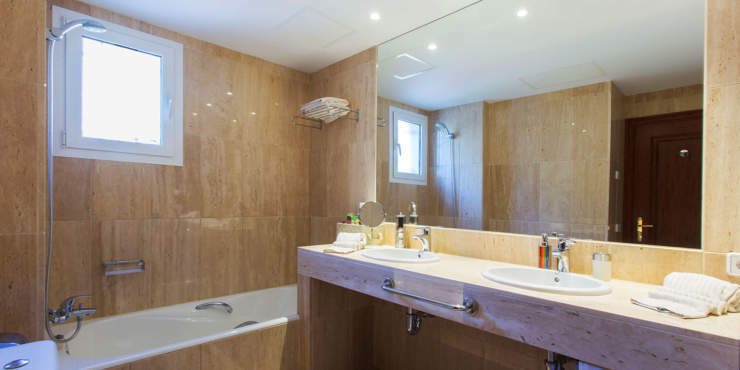 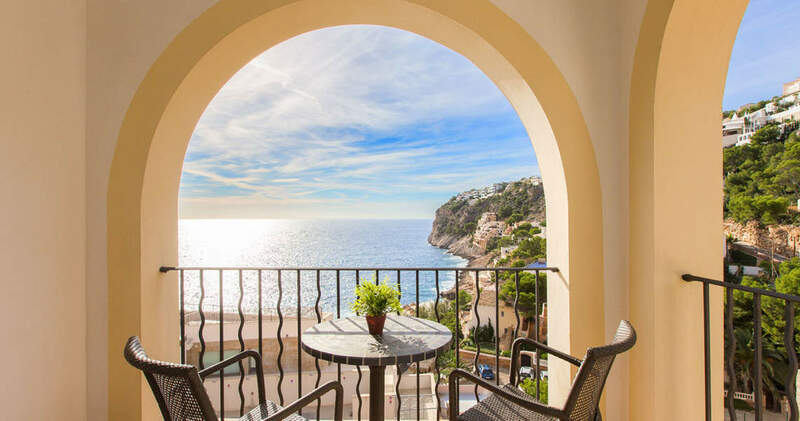 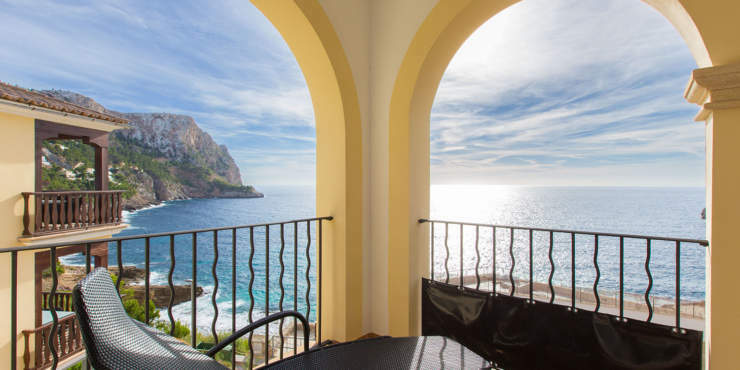 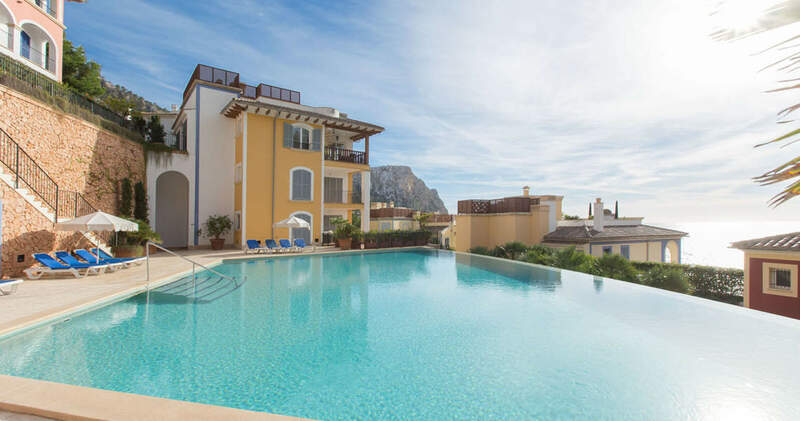 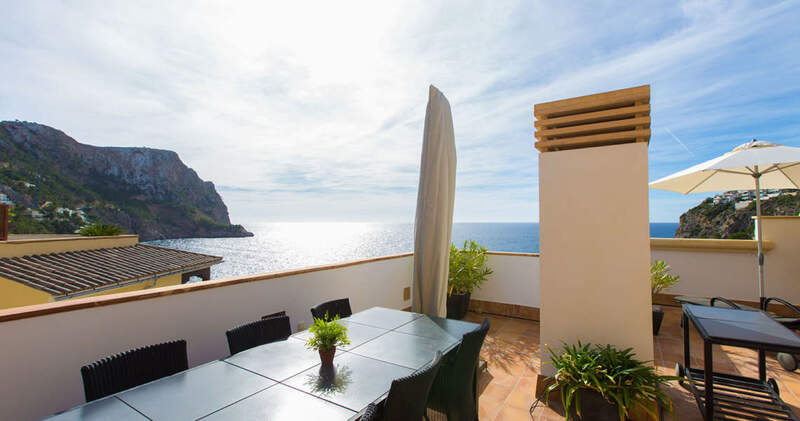 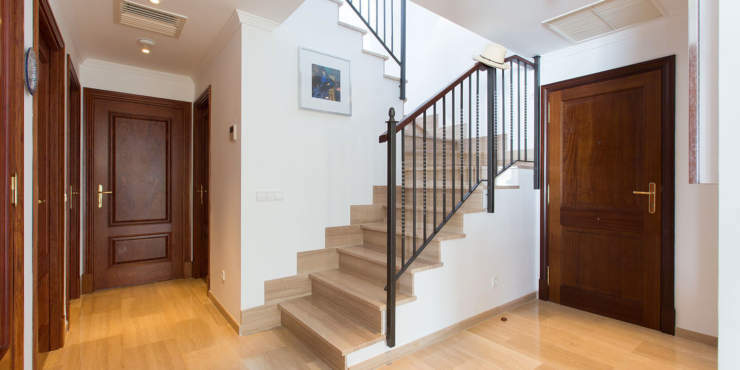 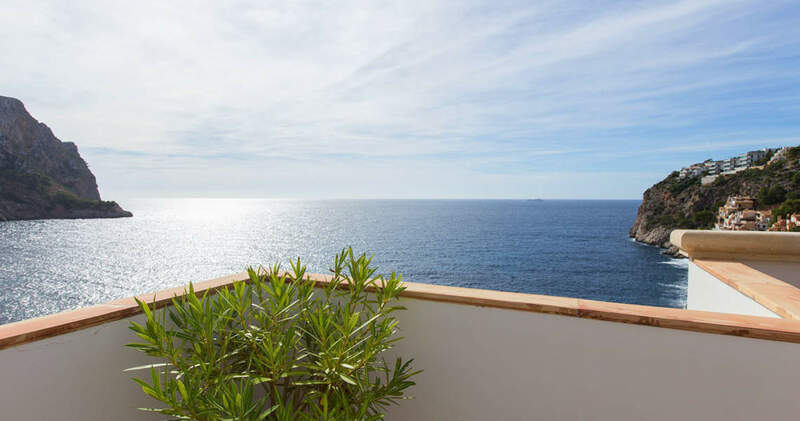 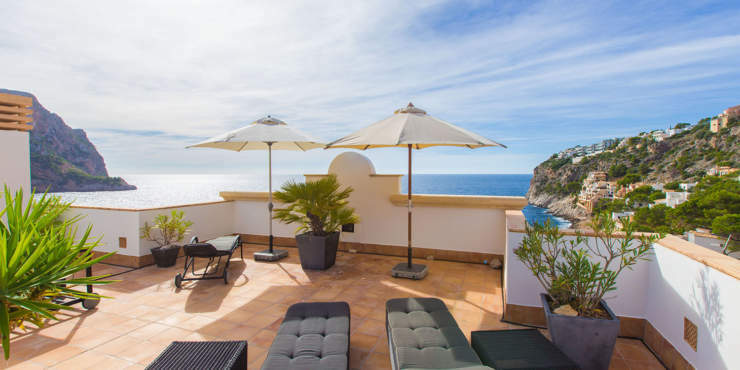 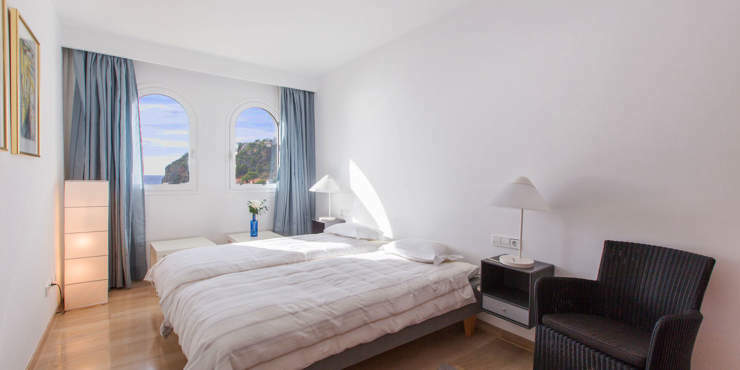 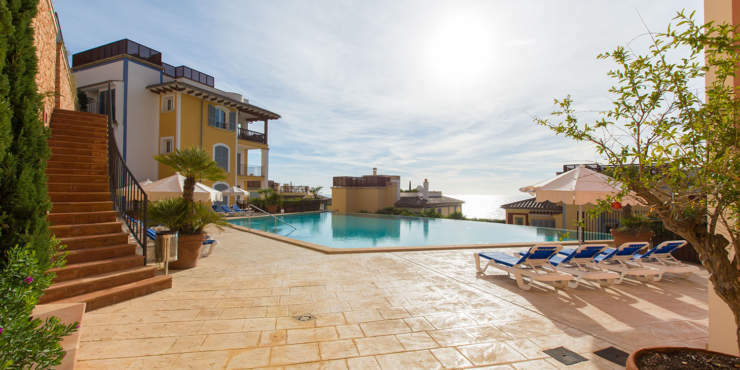 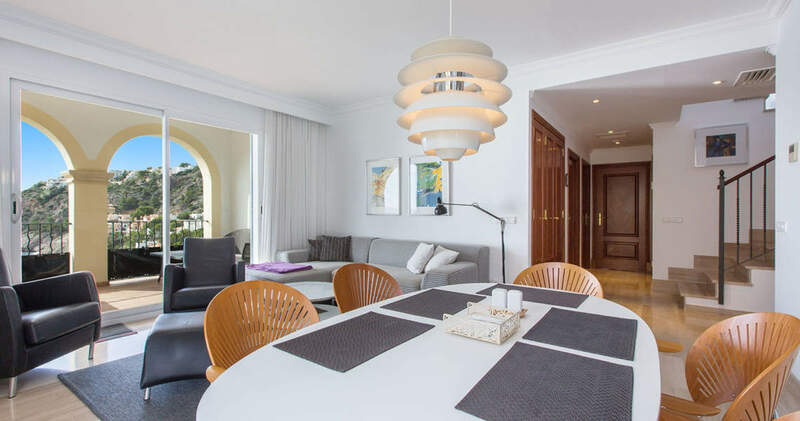 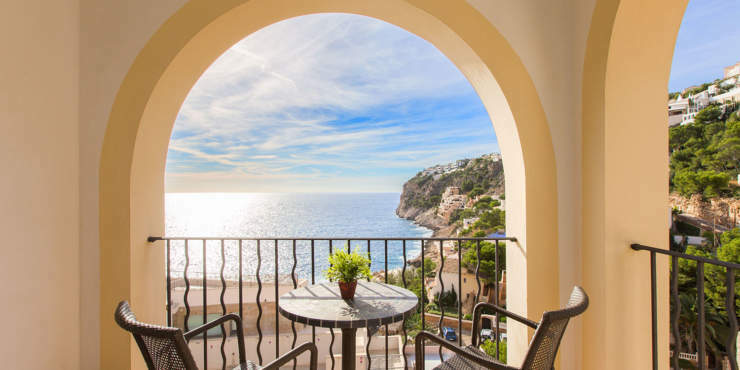 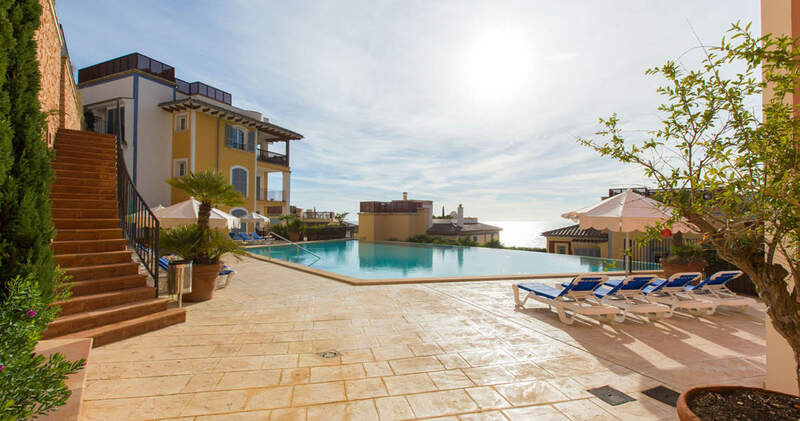 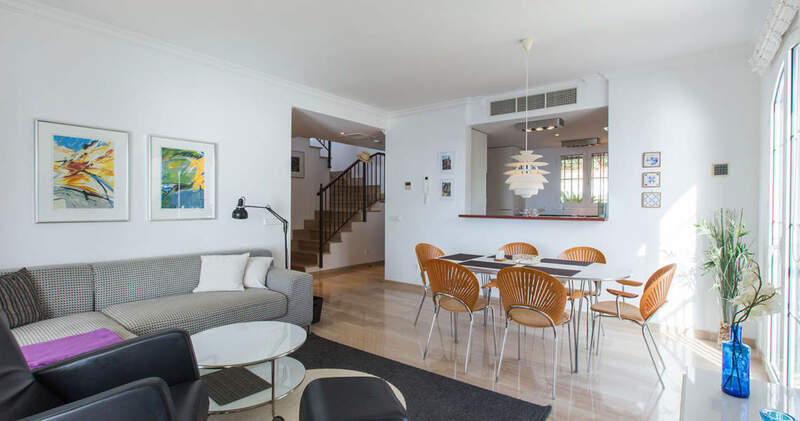 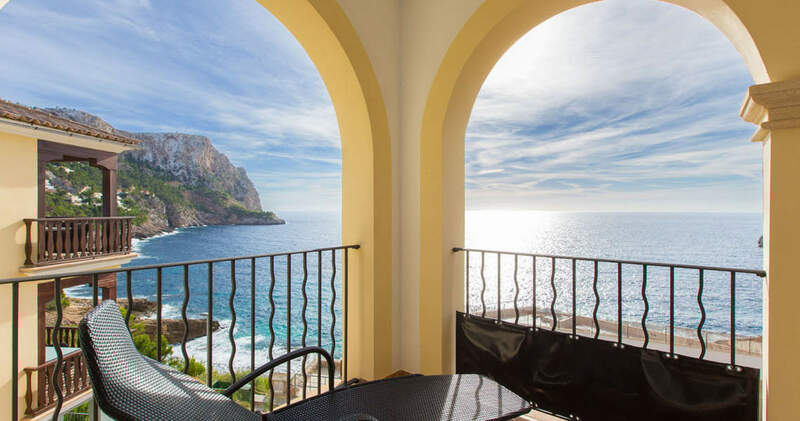 This Mediterranean deluxe residence is located in a popular villa and apartment residential area, above the Cala Llamp, only a few steps from the sea and the beach club. 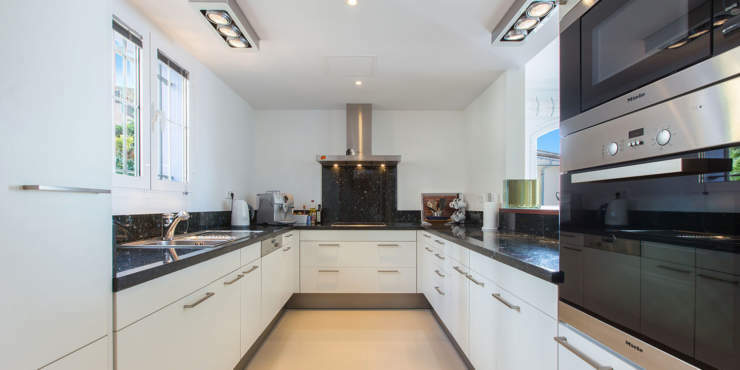 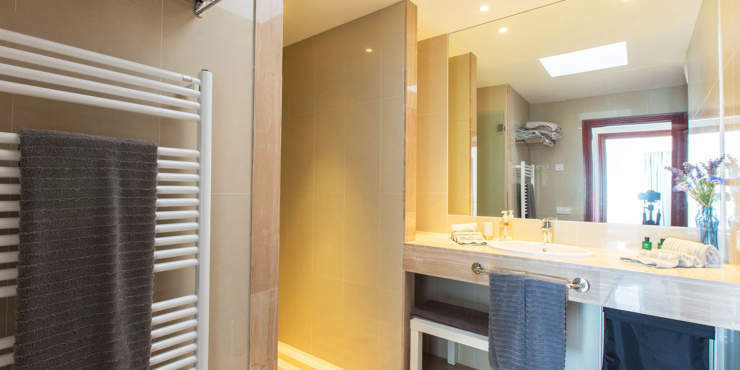 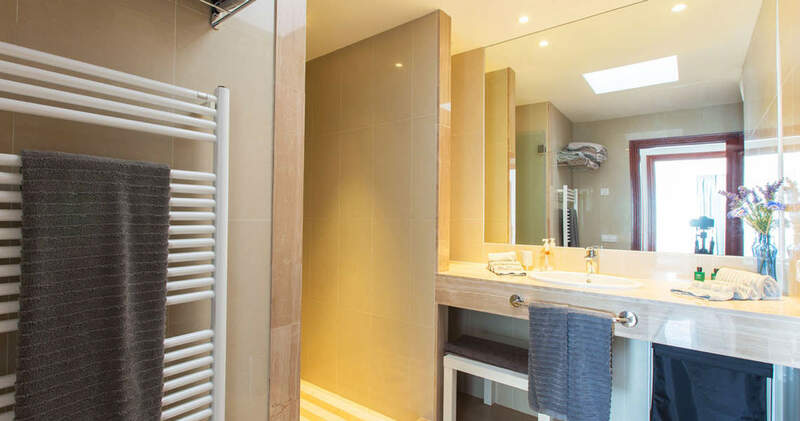 This light flooded penthouse disposes of a living/dining room, an open kitchen, three sea view bedrooms and two bathrooms (one en suite). 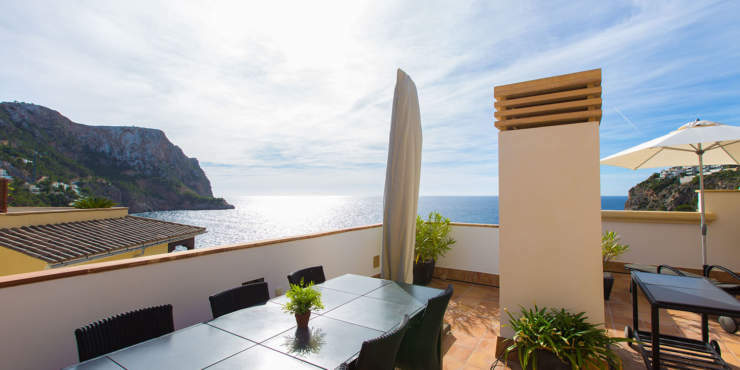 The south facing penthouse with a generous sized roof terrace offers fantastic panoramic sea views. Furthermore a garden with swimming pool is available for the community.